One thing you can say about veterinary medicine is that it is rarely boring. A typical day in an animal clinic may cover everything from pet health exams through major illnesses and surgery. Each appointment is different and each patient is unique. By the end of the day, the staff is exhausted and ready to head home. 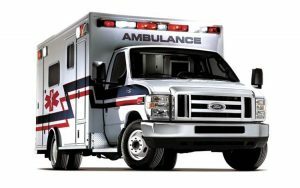 As the front door was being locked on a beautiful summer evening, an EMS vehicle raced into the parking lot. Now, we have our share of emergencies, but rarely do they arrive by ambulance. A paramedic jumped out, asking if the doctor was still in. He quickly explained that he happened to see a dog get hit by a car, and a nearby hysterical woman asking for help. She had been dog-sitting for a friend and the dog ran into the path of a car. (This is never a good scenario. Think of the mass of a car and the size of a dog.) Acting on pure instinct, the paramedics loaded the dog onto a stretcher and zoomed to the nearest pet clinic: Tallmadge Animal Hospital. Lying on the stretcher was a young German Shorthaired Pointer named George. He was gasping for air and was unable to get up. His gums were pure white, a quick indicator that his blood pressure was dropping. Dr. Andrews assessed the patient, placed an IV catheter in a vein, and tapped the abdomen. The emergency exam revealed that there was internal bleeding. Treatment for shock was started as the paramedics left, wishing us all good luck, certain that George was going to lose this battle. George’s caretaker was informed that immediate surgery was the only way that the dog had a chance to survive. At this point, it was all hands on deck. Any after-work plans were abandoned and everyone focused on one goal: saving George. Within 10 minutes, the patient was prepped, shaved, and on the surgery table. All sterile protocol was followed quickly and doctor and assistants were gowned and gloved. A quick incision confirmed what the exam inferred: blood in the abdomen. A ruptured spleen was the source of the blood and was removed, the bleeding stopped, and other organs assessed. George received blood transfusions post-op and supportive fluid therapy. As some staff made their weary way home, the doctor and others kept a vigil through the night. The next day, two paramedics stopped in to check on the staff. They wanted to thank everyone, asking how late people stayed, and wondering what time George died. “Died? He didn’t die!” George came bouncing up the hall on a leash, looking energetic, and wagging his tail in thanks to the stunned heroes who rushed to get him help. George went on to live a long and happy life. If there is a lesson, it might be to never give up on a pet if a skilled veterinary surgeon and an accomplished and caring staff are on hand. These are the stories and cases that make us love the profession and keep us going, even in the face of exhaustion. What an awesome testimony to the dedication of Dr. Andrews and his devoted staff!! It is with tears in my eyes that I read this blog entry…and look forward to more and more of them! Thank you for starting this blog!! It is AWESOME….just like the staff of TAH!! Heartwarming account of both George and the dedication of the Tallmadge Animal Hospital staff. Love these personal stories. Made me smile. Dr. Andrews certainly has saved Rudi’s life many times over! Your service and dedication is impressive. I am so glad this story ended happily. What a touching story. Dr. Andrews and staff have stayed past closing time for me several times when I have had a dog emergency. Thanks for all they do for the pets that are so very important in our lives.